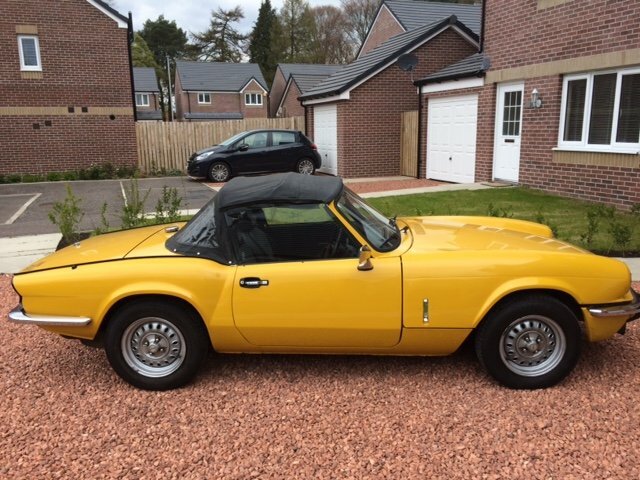 This is my Triumph Spitfire 1500, non-overdrive model, in Inca Yellow. It has covered 73,000 miles and only had 4 owners prior to my ownership. 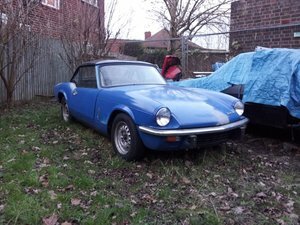 The car was registered in April 1979 so is MOT and tax exempt, although I will MOT the car prior to sale. 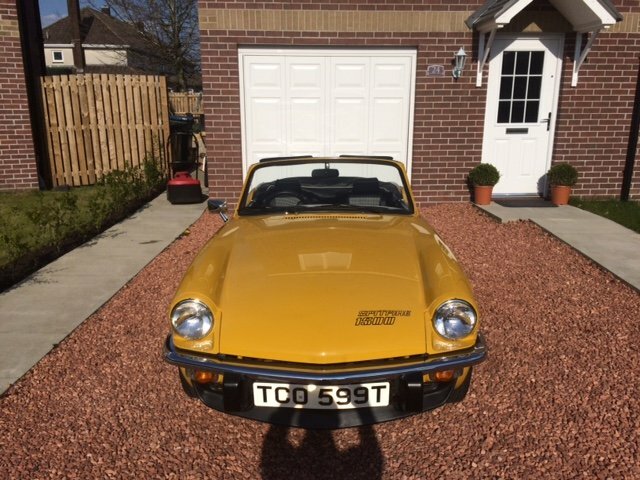 The car is in excellent condition throughout, although not concours, thanks to the full body off restoration carried out by the previous owner in 2000 and which I've included photos of in the sale. 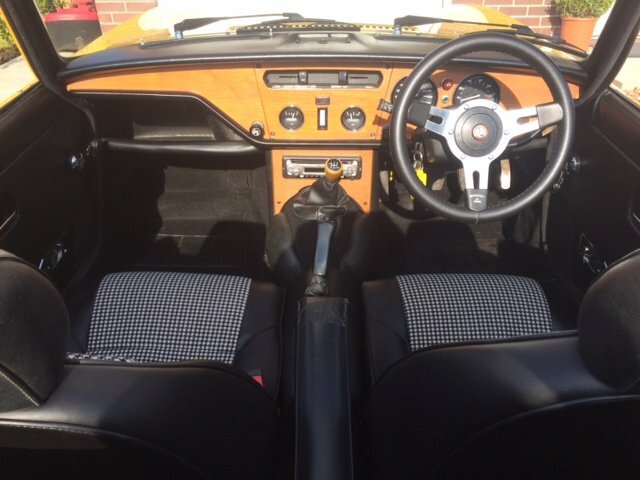 In 2002 the interior of the car was also fully restored with new seat foams and covers fitted as per the original specification. I purchased the car in 2007 and have added a couple of modern mechanical components including a Kenlow electric fan, electronic ignition and K&N air filters. 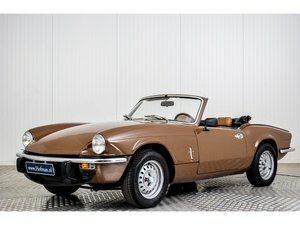 During my ownership the car has been garaged at all times, never driven in the rain and only used in the summer. 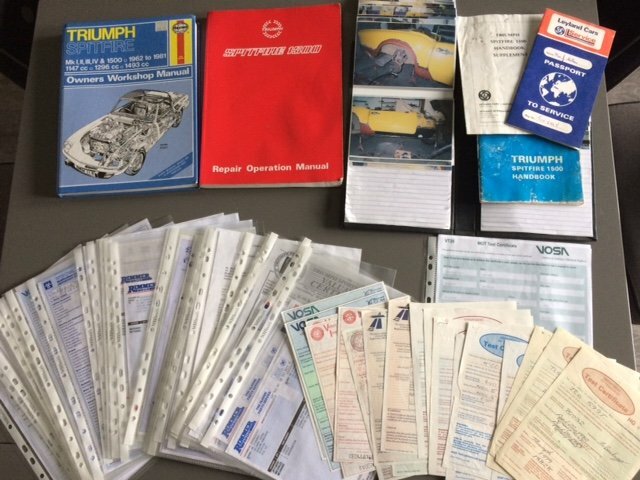 The car comes with an extensive history including the original Leyland Service Passport, Spitfire Handbook, a folder full of receipts and MOT's back to the original in 1982 to verify the mileage. 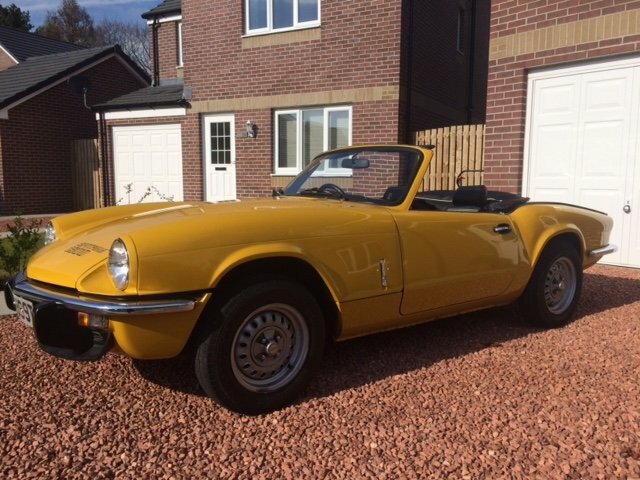 The paintwork is generally in great condition except for a small area (50p size) on the right wheel arch and an area on the front right quarter valance. The interior is also in excellent condition other than a small 2cm tear on the centre armrest which was there when I bought the car. 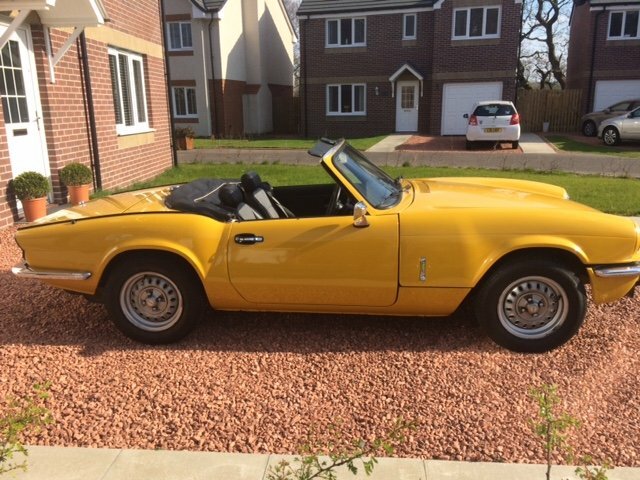 The car drives and pulls well and has never let me down, however due to a second child I just don't get the time to drive it anymore and it seems such a waste to have sitting in the garage over the summer months. As ever I'd recommend viewing as you won't find many in this condition with the history. I'm happy to take calls or to send over additional photos if required.